Left to right: Kantar’s Mr Sanchez, Kantar’s Mr Kelsall and EDB’s Mr Wong. In addition to the lab’s innovation mandate, the three-year collaboration between Kantar and the EDB also includes the hiring of data scientists and business designers. 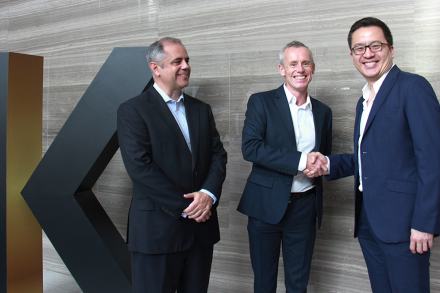 WPP-OWNED global insights consultancy, Kantar, is partnering the Singapore Economic Development Board (EDB) to launch its first research and development hub in Asia. The Brand Growth Lab will focus on advanced analytics and use Big Data, artificial intelligence and machine learning to help companies grow their brands. It will have a strong innovation mandate and aims to transform unstructured data into insights that drive customer-centric decision-making and sustainable growth for companies. In addition to the lab’s innovation mandate, the three-year collaboration between Kantar and the EDB also includes the hiring of data scientists and business designers, thus developing a strong pipeline of Singapore-based talent and expertise in this area. The creation of the lab follows the establishment of similar analytics labs in London and Frankfurt, and this year’s launch of the Professional Services Industry Transformation Map (ITM), a roadmap that seeks to to develop Singapore into a global leader in the professional services industry. 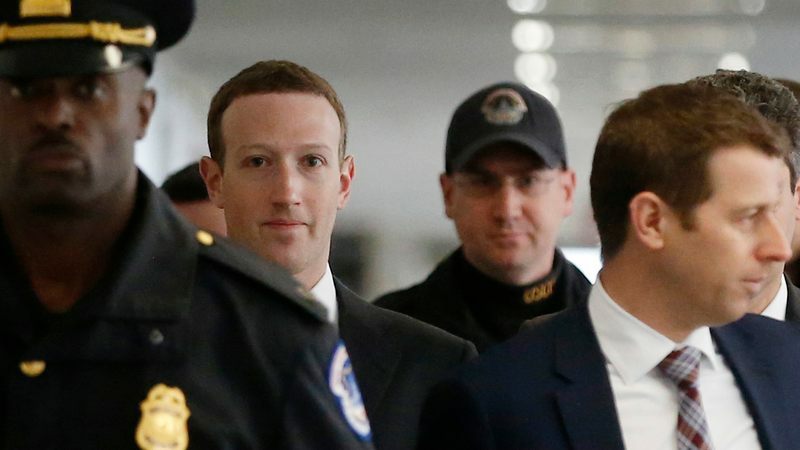 Facebook founder Mark Zuckerberg cut an awkward figure this week as he appeared at much-anticipated congressional hearings, looking visibly uncomfortable in a navy suit rather than his normal hoodie. His demeanour earned plenty of laughs on social media, but the real attention was focused on two things: the data firm Cambridge Analytica and alleged Russian trolls. According to a transcript of Zuckerberg’s appearance before the Senate’s Commerce and Judiciary committees, Russia was mentioned 38 times and Cambridge Analytica 72 times on Tuesday. The next day, as the House Energy and Commerce Committee took its turn, Russia was mentioned 34 times, Cambridge Analytica 50 times. But Facebook’s most vexing global problem is the misuse and abuse of the site in countries outside North America or Western Europe. Facebook is not just a privacy issue in these countries – in some cases, lives are literally on the line. 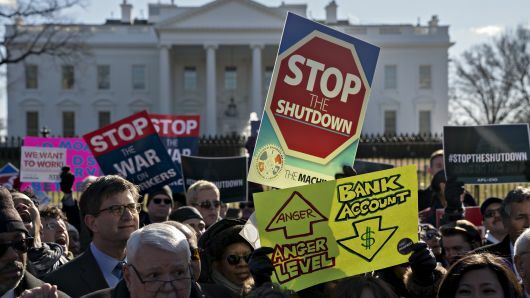 Those problems, however, went almost unmentioned on Capitol Hill. Think about it this way: Many Americans believe it took only 90 bored social media consultants in St. Petersburg to help sway voters toward Donald Trump in the 2016 election. Now imagine what could happen if something similar happened in one of the many countries where Facebook is synonymous with the Internet itself. In such countries, people and groups – even the state itself – can have an interest in spreading misinformation to inflame domestic tensions. And because many are smaller, poorer countries, they are almost insignificant to Facebook’s business model and receive scant attention from its Menlo Park, California, headquarters. There are plenty of real-world examples already. The obvious one is Myanmar (also called Burma), a Southeast Asian nation of just under 53 million people and a gross domestic product per capita just one-fiftieth of America’s. Burma emerged in 2011 from decades of military dictatorship, but it has been racked by ethnic tensions ever since. In 2017, a violent military crackdown caused more than 600,000 mostly Muslim members of the Rohingya minority group to flee to Bangladesh, leaving an unknown number of people dead. Civil-society and human rights organisations say that Facebook inadvertently played a key role in spreading hate speech, which fueled tensions between the Rohingya and Myanmar’s Buddhist majority. Those groups shared a presentation with key senators this week, aiming to show how Facebook was slow to deal with hate speech and misinformation on its platform even after repeated attempts to flag the dangerous content. Zuckerberg did not mention Myanmar in his prepared remarks this week, but he was was asked about it. On Tuesday, Sen. Patrick J. Leahy, Vt., the top Democrat on the Judiciary Committee, highlighted a recent comment by U.N. investigators that Facebook played a role “in inciting possible genocide” and asked why the company took so long to remove death threats toward one Muslim journalist there. Sen. Jeff Flake, R-Ariz., also invoked the plight of the Rohingya in another question on Tuesday. The following day, there was only one passing mention of Myanmar. Zuckerberg’s responses to questions about Myanmar suggested that he had sincere concerns about Facebook’s role in the country. “What’s happening in Myanmar is a terrible tragedy, and we need to do more,” Zuckerberg admitted to Leahy, using another name for Burma. But, as the Daily Beast’s Andrew Kirell noted, there was more discussion of pro-Trump YouTube stars Diamond and Silk than there was of a potential genocide half the world away. Meanwhile, other countries facing similar Facebook problems weren’t mentioned at all. On Monday, a number of activists and independent media professionals in Vietnam had released their own open letter to Zuckerberg, complaining about account suspensions in the country. “Without a nuanced approach, Facebook risks enabling and being complicit in government censorship,” the Vietnamese groups said. In some ways, the problems with Facebook highlighted in Vietnam and Myanmar may seem distinct – one is about content being taken down too easily, and the other is about content staying up too long. But at the core of the problem is the same criticism: Facebook doesn’t pay attention to smaller countries. BuzzFeed News tweeted “Ethnic tensions in Sri Lanka predate the social network. Such drastic measures are clearly not ideal – indeed, they raise their own questions about censorship and free speech. But Facebook’s inability to stop real-world problems, either because of language barriers or a lack of knowledge about local contexts, is a common criticism around the world. To his credit, Zuckerberg acknowledged the need to hire more people with local language skills and work with civic organisations to identify potential problems quickly. “The definition of hate speech or things that can be racially coded to incite violence are very language-specific, and we can’t do that with just English speakers for people around the world,” he said this week. The Facebook CEO even seemed to suggest on Wednesday that his company was working on being able to take down hate speech like that identified in Myanmar within 24 hours – a passing comment that many organisations noted with hope. But the big question is how to do that on Facebook’s gargantuan scale. The company has about 25,000 employees but an estimated 2 billion or more daily users. Facebook may need to hire thousands more people to truly deal with global issues. Small wonder that Zuckerberg emphasised the role artificial intelligence could play in helping solve these problems in five or 10 years’ time. While many will want Facebook to work faster than that, such proposals are probably welcome news for many Facebook users and advocacy groups. But for corrupt governments and other groups who worked with them – including consulting groups such as Cambridge Analytica – it could mean their ability to spread hate and division will no longer be a feature of Facebook, but a bug. 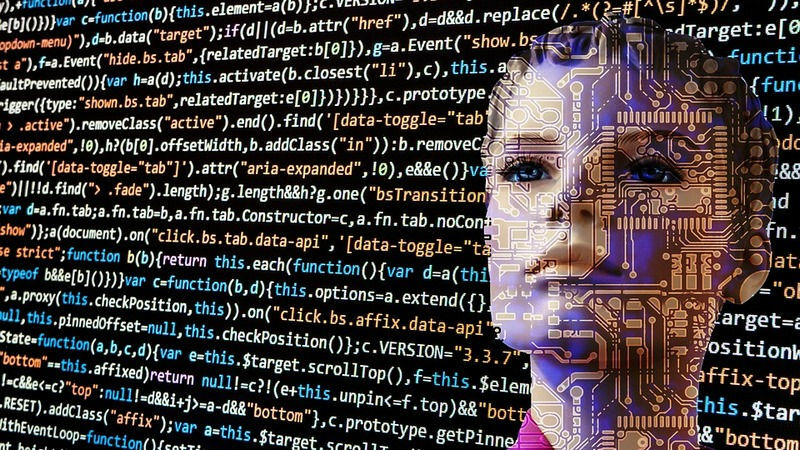 Maharashtra is betting big on Artificial Intelligence and Machine Learning by setting up India’s first ever centre for research in AI and the state government is collaborating with the Wadhwani Foundation which is investing over 200 crores to set up the centre in Mumbai. The centre was inaugurated by the Prime Minister on Sunday evening. It will look at solutions for traffic management, agricultural distress and rural and urban healthcare, problems that the state has been unable to resolve. and this centre will put Mumbai on India’s technology map, officials say. “This is in line with the vision of the Prime Minister and the Chief Minister in order to create a future ready environment for the state,” says Kaustubh Dhavse, Officer on Special Duty to Chief Minister Devendra Fadnavis. The effort the founders say will be to make the centre a hub for AI in India. Co-founder and former CEO of Information Technology company iGate says the time is just right. “This would be the perfect time to take the power of AI and apply it to accelerating social development. Interestingly with all of this AI work being done all over the world all of it is being designed for commercial interests and very little is done being done to help people at the bottom of the pyramid and that is what our institute will focus on,” Sunil Wadhwani, Founder of Wadhwani Initiative for Sustainable Health (WISH Foundation) told NDTV. The institute will be headed Dr. P Anandan, a renowned researcher in computer vision and artificial intelligence with a career spanning over 30 years in academia and industry. “AI is the cutting edge of high tec technology. Moreover, AI for social good is not being done anywhere. There is no institute anywhere in India or abroad whose primary focus is to develop AI technology and apply it to social good. So in that sense, Mumbai becomes a leader right away,” Dr. Anandan said. “I think it’s really exciting and we would like to have more of it in our school and give more access to it so that we can also give birth to future innovations and disruptions,” said Radha Kapur, Founder & ED of Dice Districts. As the magnetic Maharashtra Business conclave kicks off, the technology sector is going to be key in terms of investments and Maharashtra is keen to showcase its potential in the technology sector to put Mumbai on India’s technology map.